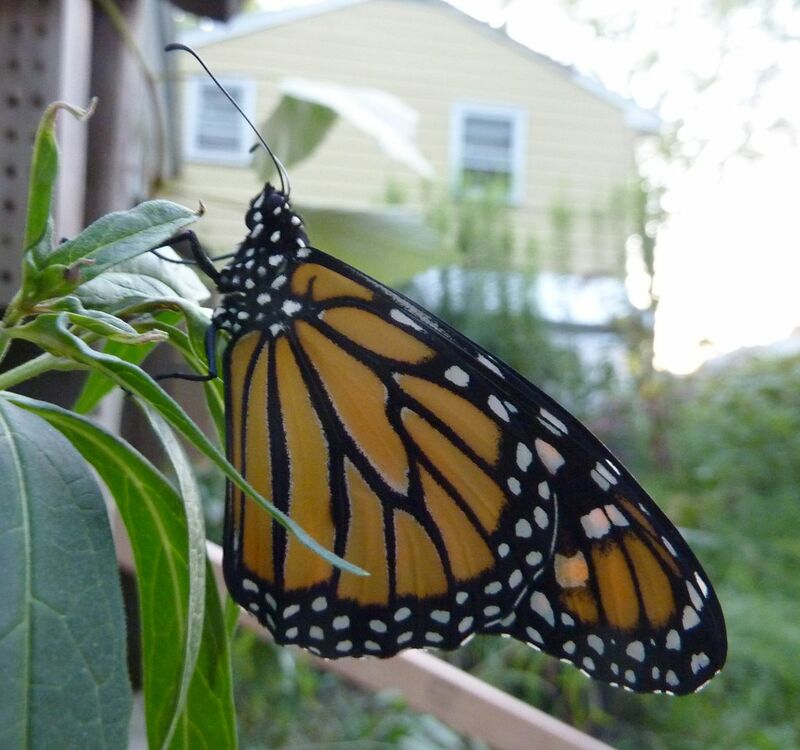 Well the milkweed has started hatching out Monarch butterflies. I can confirm that at least 2 have hatched from my patch alone. That's not accounting for all the caterpillars that crawled away from the plants. I'm still finding eggs on other plants about the yard too. Last year I had the issue of vanishing caterpillars but I kept seeing Monarchs taking off from beneath the foliage in that garden. 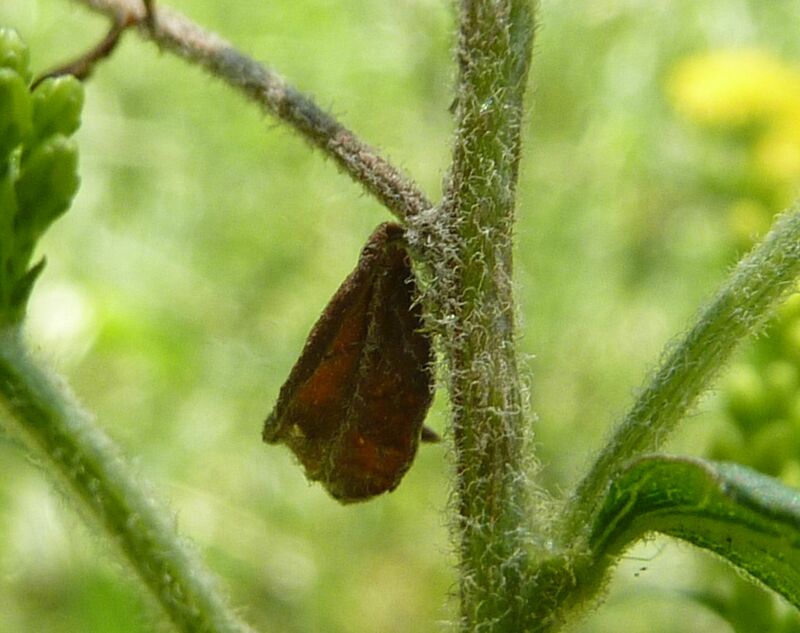 This year I learned they abandon the plant once they reach the last instar or so. I might get another generation out of this. While we're on the topic of Monarchs let's discuss some nectar plants. The Meadow Liatris, Liatris ligulistylis, has stopped blooming. Though I planted a bunch this spring because they were stored in a green house to long only the former plants from last year bloomed. Even with two flower heads I had monarchs on them! Asters are coming along but not quite there yet. 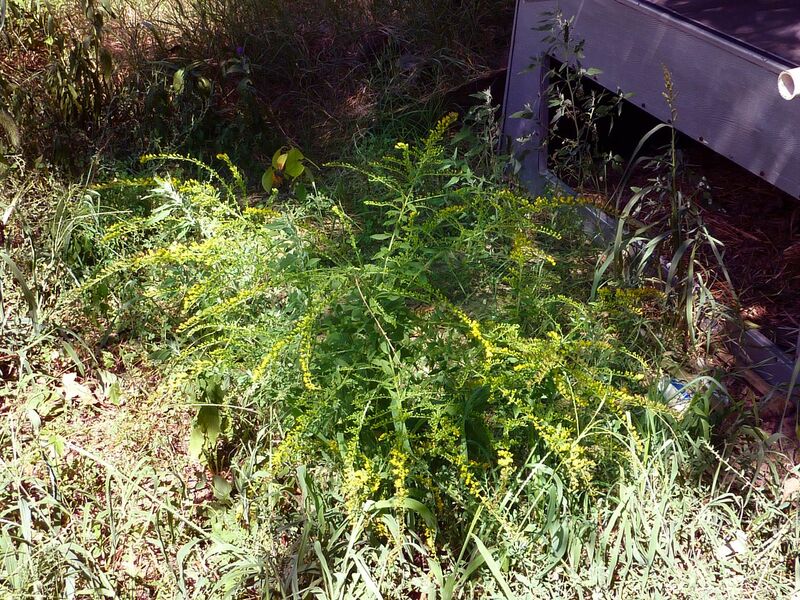 Another plant in the Aster family that has started blooming though is Goldenrod. Solidago is a huge genus of very similar looking plants that are notorious for hybridizing. Solidago rugosa 'fireworks' is blooming nicely but I find it shocking that nothing is working this young plant. More established plants are more bush-like and fuller looking. It's another case of wait and see. I didn't think to examine this at the time but it might be a chrysalis to some type of Lepidoptera, (or flake of something). As far as perennial forbs go, Solidago is the most beneficial host plant a garden can have. The true number is either 150 or 250 species (I honestly forget) but the issue here is none are that memorable. There are numerous videos and pictures online of Monarchs, and many other pollinators, covering Goldenrod in mass. I suspect Solidago canadensis and similar species are the main plant here. The patch of Solidago gigantea I have is loaded with flower buds but has yet to bloom. It's a monster of a patch too. I've pegged it as the last plant in my garden to bloom as it normally does so well into November. It's a real highlight having what is possibly the only flowering plant for miles around as it's generally covered in bees.